Planes and helicopters have strengths and weaknesses of each. Aircraft can move quickly and bring a lot of cargo, while the helicopter moves more slowly, but it does not need a long runway and able to maneuver better. 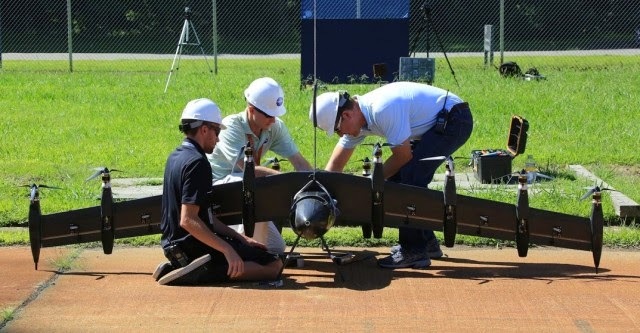 Langley Research Center at the National Aeronautics and Space Administration (NASA) has recently tested a 6 meters-long drone, named GL-10 Greased Lightning. The drone is unique because half helicopter and half airplane. In a trial that conducted recently, the drone successfully demonstrated the ability of take off and landing by helicopter style and change its flying mode into "wing-borne" while in the air. GL-10 drone is a relative of the V-22 Osprey, a Vertical Take Off and Landing (VTOL) aircraft that developed by the US. Air Force and Navy in the 1980s. V-22 Osprey can take off from the middle of the woods by carrying up to 9 tonnes cargo and fly as far as 3,500 kilometers. Turns toughness of the V-22 Osprey later inspired the creation of GL-10 drone. 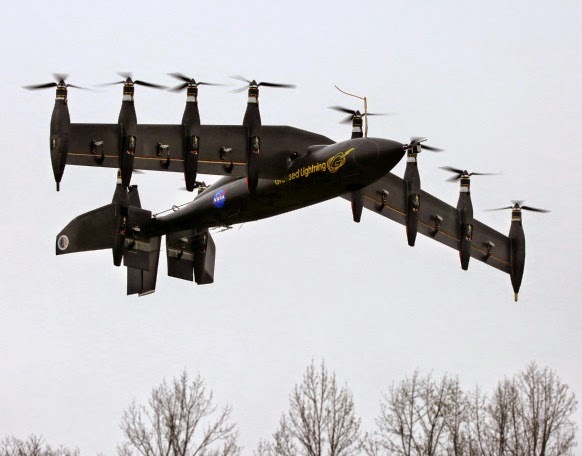 NASA wants the drones also have the power like that of the V-22 Osprey, but in a smaller size. GL-10 drone has four motors on each wings and two motors on the tail. So in total there are 10 motors. And NASA hope that the drone development could serve a variety of tasks. "It could be used to send small packages, long-term sensing for agriculture, mapping, and other applications," said Bill Frederick, a NASA engineer who involved the drone development, as quoted from Wired on Tuesday, May 5, 2015. So far, NASA has made 12 GL-10 prototypes, which is made from cork with a weight of 2 kg, fiberglass prototypes with weighing 10 kilograms, until the proto that has a weights up to 100 kilograms of carbon fiber materials. 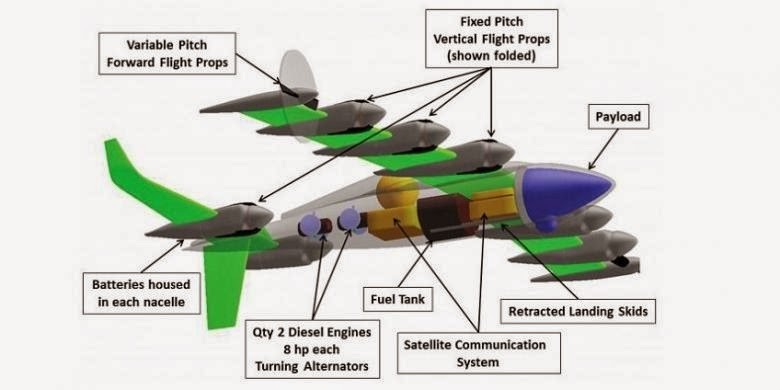 A number of prototypes have been destroyed after going through several testing processes. However, at the same time, the engineers can learn more and enhance the design. After the last trials in April, NASA will return to test the efficiency of the drone in the near future.